We just arrived back home from a six-week ministry tour. 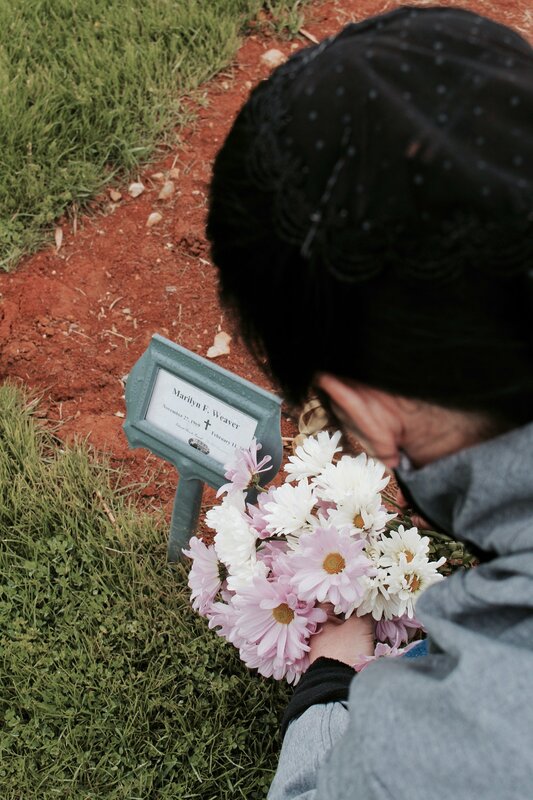 On this past trip, we were reaching out to many individuals on their journeys of grief. While we did, we were reminded of our own grief journey. Whether your life has been touched by grief or not…I believe this blog will be beneficial to you. Grief. Pain. Loss. Our natural tendency is to recoil from going where they take us. And too often, we subtly recoil from taking part in someone else’s grief. We don’t like to see their pain. The helplessness of the situation makes us uncomfortable. Too many times we pull away from a grieving person because we want to get back to enjoying our happy life. And we don’t want to feel guilty in doing it. Chances are you know someone who is grieving some form of loss (or you are grieving yourself.) Loss of a relationship, financial loss, loss of good health or the death of a loved one. Although our losses aren’t necessarily equal, many of us can relate to the brutality of grief in some way. It’s been six years since Austin, our sixteen-year-old son, passed away from complications of his second heart transplant. There are still times when the pain and longing hits me and the tears flow again. This doesn’t mean I’m “stuck in my grief” or haven’t “moved on”. My friend, grief is a vicious, ugly monster. But unfortunately, death is as much a part of life as a joy-filled birth. The church has come a long way in knowing how to reach out to those who are grieving. But many of us still don’t know how to properly care so we don’t add to someone’s pain. This past weekend, our family was in Pennsylvania. My best friend of over twenty-five years, Marilyn, suddenly passed away nearly three months ago. Spending time with her husband Ray, their boys, and Marilyn’s parents, brother, and sister was emotional, yet healing. Marilyn always came to the benefit weekend we have in the area each year, just to hang out with me. When I saw Ray and their youngest son walk in, and we hugged, the tears came. It was so wonderful to spend time with them! Marilyn’s sister and I hugged and cried together. Since Marilyn loved donuts, and we would usually eat a warm, fresh one made here each year, her sister and I shared one together. It was so healing to reminisce and grieve together for our dear friend and sister. 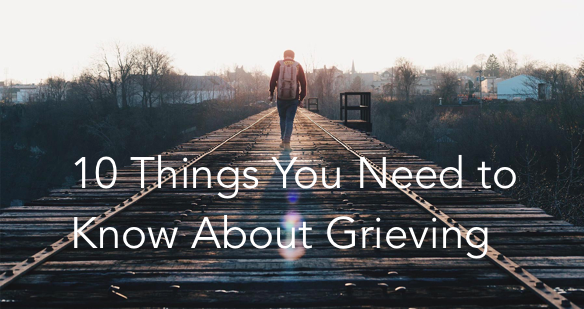 So what do you need to know about the brutality of grief? 1.) Grief looks different for each person. What one person finds healing may not be healing for someone else. We need to allow each other to grieve in their own way and time. Some people are more reserved while some are able to express their grief publicly. The differences aren’t that important. But it is important that it’s happening. One example of this was clearly seen in our family. After our son died, one of our daughters found it healing to sleep in her brother’s bunk (in our motorhome), while the other one didn’t want us to use it. She is very loyal and it felt to her like we were moving on too quickly. Both girls needed to know their feelings were valid and understood. We came up with a plan that both were okay with. Please be very sensitive to each others unique grief journeys. 2.) It’s okay to be emotionally unstable. A grieving person goes through fluctuations of emotions. Just because they are happy one moment and in tears the next is completely normal. It means a lot to them if this doesn’t make you uncomfortable. 3.) You don’t have to “get over it.” When you experience a large “blow” in life, you don’t simply get over it. Yes, the pain may ease and be less intense, but the loss remains. 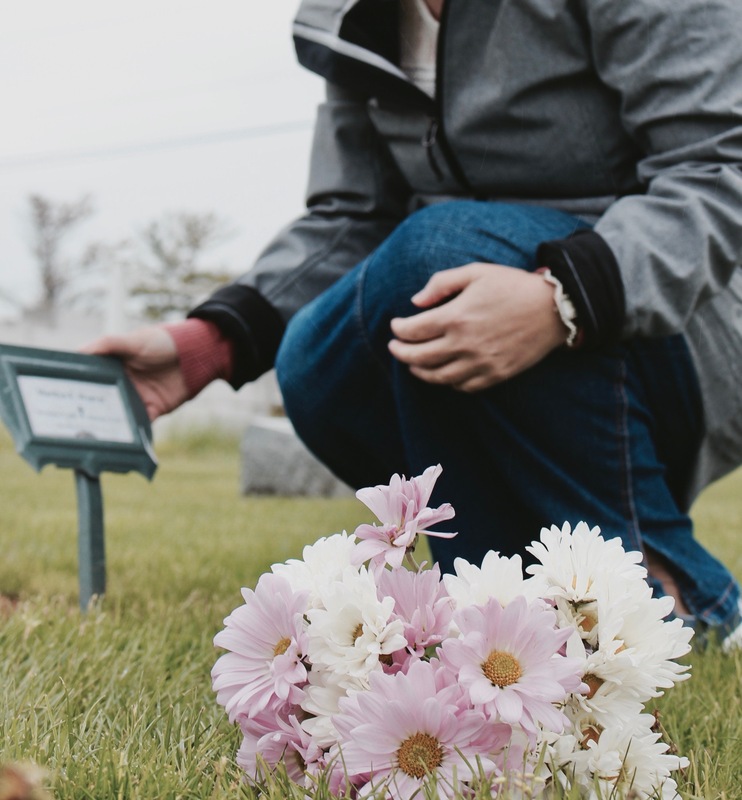 You will never be the same, but you can learn how to adjust to a “new normal.” We’ve talked to individuals who’ve lost a spouse or child twenty-five years ago and it still brought tears. My friend, when you love deeply, it hurts deeply. And there’s just no “getting over” a loss. Experiencing healing, yes. But totally “getting over” it, no. 5.) Losses aren’t all the same. Please be sensitive and don’t compare your loss to someone else’s. You may not understand how deeply they were affected by the loss. Although I experienced three miscarriages and these were difficult and a big loss, the death of our son who was living in our home for nearly seventeen years was a much greater loss. But I also realize that I can’t compare my loss to what Marilyn’s husband is going through. Not only is he mourning the loss of his sweetheart, but their daily lives have drastically been affected by her no longer being in the home and homeschooling their boys. Their world has drastically changed. Another example of losses not being the same is when someone miscarries a “surprise baby” while someone else miscarries after they’ve been trying to have another child for many years. The death of a spouse within a healthy, intact marriage may also be different than the death of a spouse in a strained or distant relationship. 6.) It’s okay to grieve hard. You should never feel pressured to stop grieving. This is like telling someone who had their hand cut off to stop feeling the pain. No one should ever make you feel that your natural pain mechanism is wrong. We don’t usually minimize someone’s physical pain. Why do we have the tendency to minimize their emotional pain? When someone gets hurt physically, we’re not as likely to think they’re adapting a victim mentality. Why do we do this with someone’s emotional pain? 7.) You may not understand others’ pain. When you say you understand (and you really don’t) a grieving person will feel misunderstood and hurt even more. You may believe telling them you know what they’re going through will enable them to connect with you, but just be cautious with these words. It’s appropriate to briefly share about your loss, but be careful in saying you completely understand their pain and loss. 8.) You can care even if you don’t understand. My friend, Marilyn, did this so well! She would ask me how I’m doing, but kept telling me that she cares even though she can’t begin to understand what I’m going through in losing my son. She would ask me how she could make my grief easier. And I told her she was doing it simply by caring and asking me. 9.) Grief is okay. Don’t hold those who are grieving at arms length because you don’t know what to say to them. Their world already fell apart. Don’t add to their pain by avoiding them or not talking about their loss. 10.) Be open enough to talk about others’ losses, if they are. No one wants to feel pressured to talk about their loss. Especially at certain times. But there will be times when they really do want to talk about it. So how are you supposed to know what or when to say something? The best way we’ve seen our family and friends do this to us is by bringing up memories of Austin or telling us they’ve been thinking about him or missing him. Depending on how we were feeling, it was an open door for us to talk about it. So well said, Cindy! Thank you for the encouragement! It’s been a very difficult week for me! The loss of Marilyn has hit hard! It’s been good to connect with Ray by phone and so healing! I appreciate your posts! Blessings! Yes, His ways are perfect…even if it hurts so much. Thank you for sharing, Anna. Thank you for sharing. I am trying to move on. Seems like everyday is a challenge. I am a widow for 6 month. Married for 53 years miss saying good morning honey making coffee. So many little things my children all live out of state but I have good neighbors and friends. God is so good to me blessing me with wonderful people all around me. I’m so sorry for your losses. I’m sure it is a different feeling for each loss. May the Holy Spirit comfort you in your grief and pain. Heather, I am so very sorry for your deep loss of losing your husband. I can’t imagine the extent of your loss. But I do know Someone who does understand and He cares deeply for you. Satan likes nothing more than making us believe that our losses are God’s fault and that He doesn’t care. But that’s far from true! He truly is wanting to carry you through this difficult time. In the loss of our son, we had to again realize that if we build our lives around anything or anyone apart from God, we’re building on shaky ground. Everything we own can suddenly be taken from us in a heart beat. And then the center of our lives comes crashing down. But when we have our relationship with Jesus as our foundation and Him at the center of our lives, these losses can still be excruciating hard, but we still maintain our security. Because our relationship with Him can never be taken away from us. And God is there to help give us His grace for each of our moments. We encourage you to reach out to someone who’s a believer and can walk through this dark journey with you. Please let us know if there’s anything else we can do for you. We will be praying for you!